Please also check out accessories such as remote temperature sensors, meters, MeterBus adapters, Relay Drivers, and Din Rail clips by clicking here. 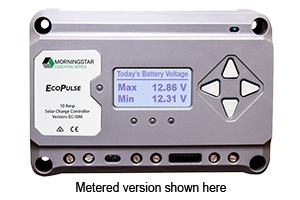 Please submit this form if you would like a Morningstar system design partner or distributor to assist you with your needs. I understand that Morningstar may store the information I have submitted and I have the right to request my information to be edited or completely discarded at any time.